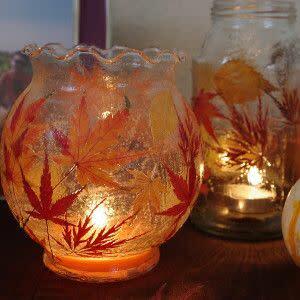 Create a centerpiece (for thanksgiving) – All you need is a mason jar or clear glass container, a few colorful leaves, and some Mod Podge! Set them out as decorations, or use them as candle holders! Bonus: great gift idea for the holidays. Do a leaf rubbing – This one’s a fall classic. 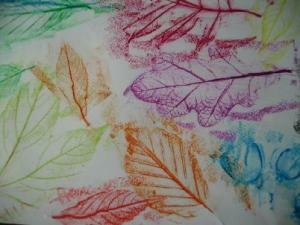 Place a piece of paper on top of your leaf or leaves and rub a crayon or colored pencil on its side where the leaf is. Play around with different shapes and sizes of leaves and colors of crayons/pencils. Before you know it, you’ll have some fridge-worthy art! Play hide-and-go seek – You’ll probably need A LOT of leaves for this one. 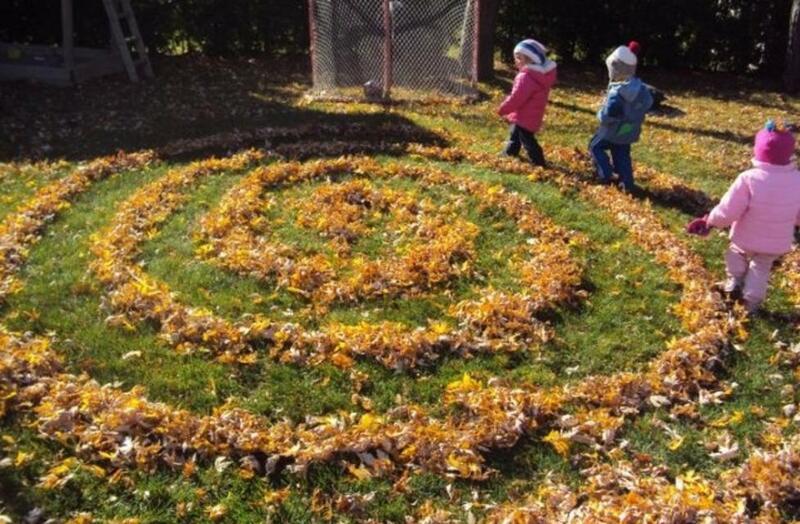 Rake them into as many piles as you can (make sure they are big enough for a person to hide in) and grab a few friends to play. Have the “it” person count to 100 as everyone else chooses a pile to hide in. The first person found becomes “it.” Want to make it harder? Spread the piles out over a larger area or multiple yards (with permission, of course). Use them as canvases – Tired of paper? 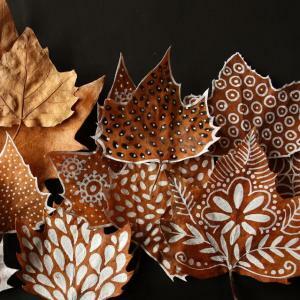 Try drawing or painting on leaves instead! Play around with different utensils and designs for a unique craft that’s both fun and easy. 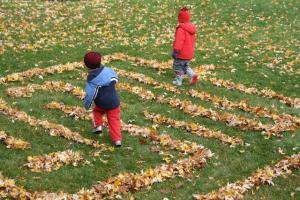 Make a maze – before your rake all those leaves into piles, create a labyrinth and challenge your friends. For some added fun and excitement you could play a game of real-life Pacman! Click here for rules on how to play (substitute leaves for chalk lines). 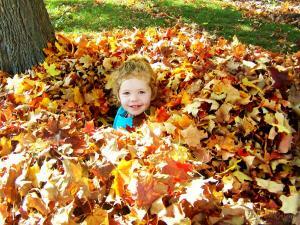 What’s your favorite fall activity or craft with leaves? Comment or share a picture below, we’d love to see them!